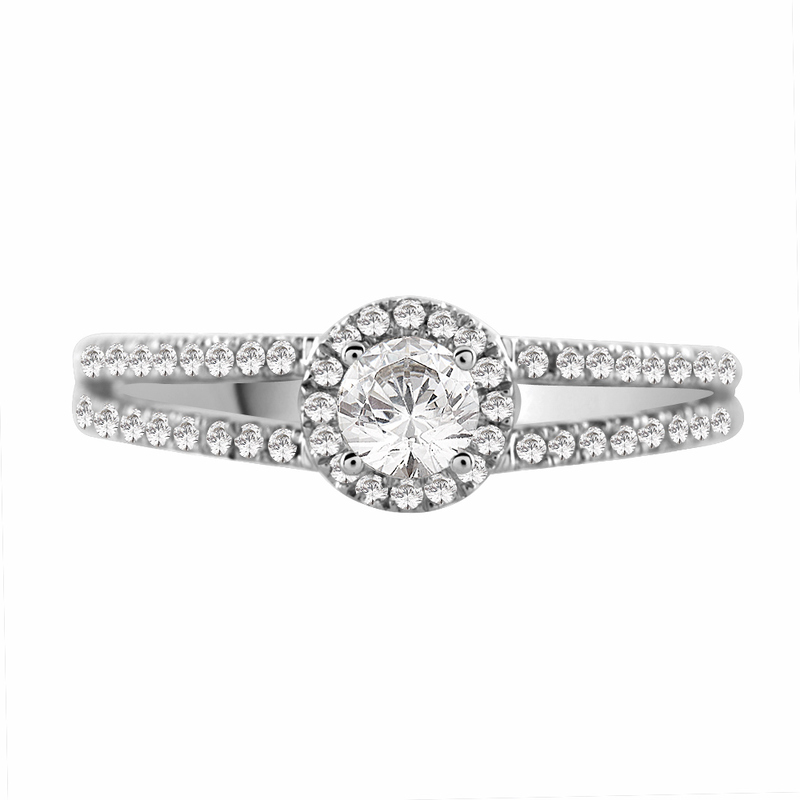 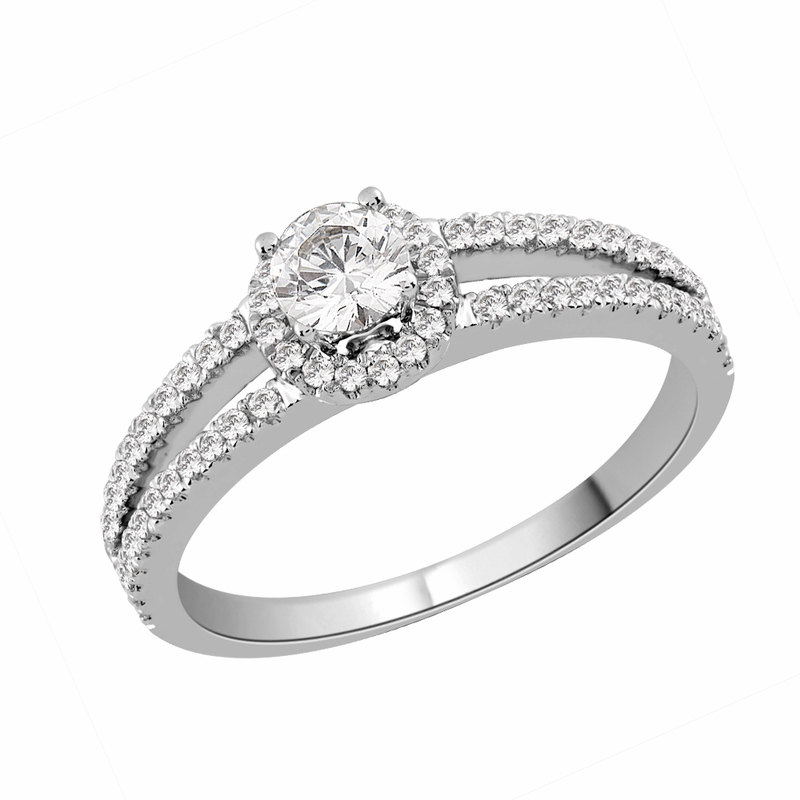 Diamond Halo Engagement ring. 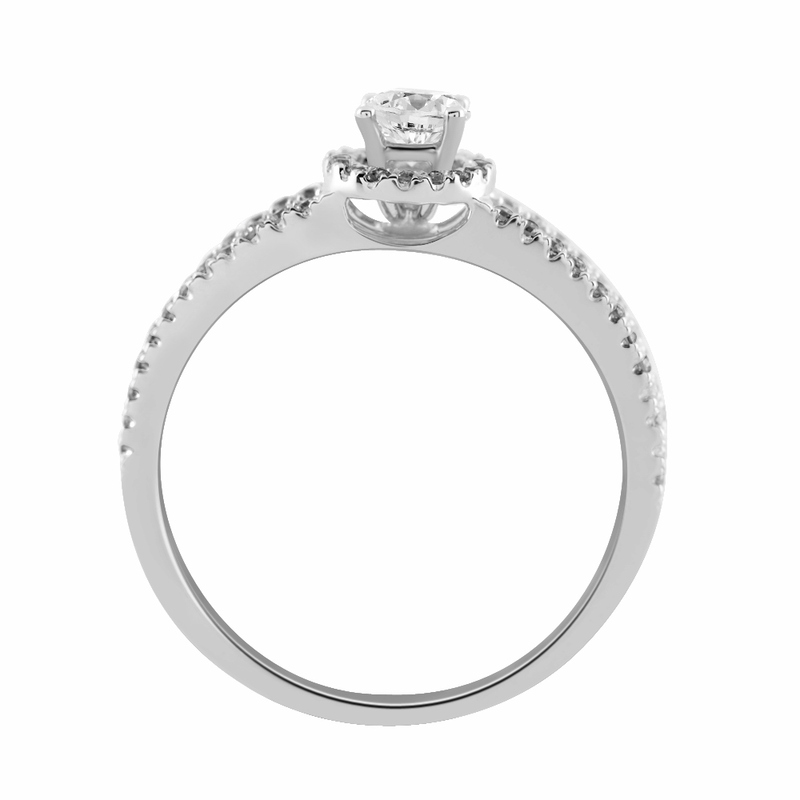 This beautiful Engagement ring has a 0.32ct Diamond Centre stone and is surrounded by 0.25ct of smaller round brilliant cut diamonds. This ring is made to order and takes approximately 5 weeks.